An elderly woman sells oranges in an empty town, covered with snow. Her customers purchase more than just fruit. 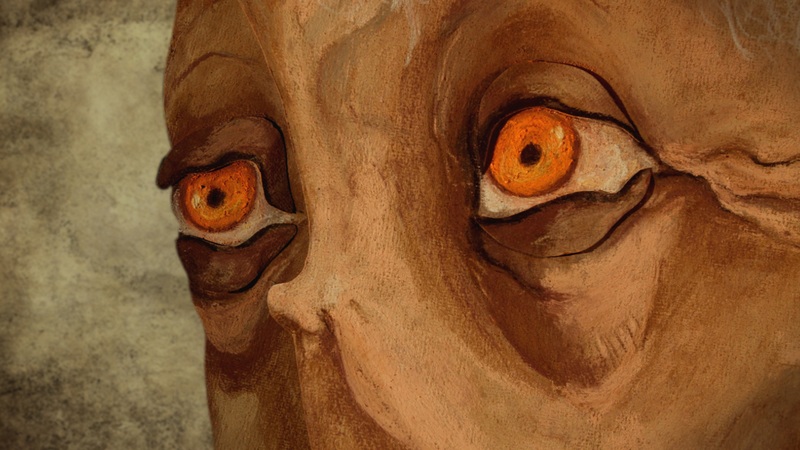 Oranges is an oneiric story about fantasies and a strange obsession of the main character. was born in 1991. She graduated from Art School in Warsaw specializing in Visual Advertising. Since 2010 she studies animation at Polish National Film School in Łódź. "Moko" is her latest film she made at school.